"This charming and well-produced little book illustrates a fascinating corner of the School's history." 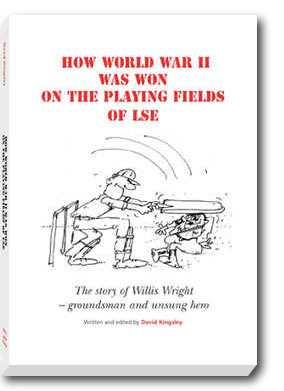 Willis Wright looked after the Sports Grounds of LSE for 28 years, including the duration of World War II. This book is a slice of twentieth century social history and an example of what civilians went through during the war on the home front. The core of the book contains fascinating, moving, and entertaining correspondence between LSE Director Sir Alexander Carr Saunders and the Head Groundsman and his wife Nellie, who remained in South London while the School was evacuated to Cambridge. It is a tribute to the loyalty and service of the porters and groundsmen at all universities.